Just been offered a brand new KR250. Never run or registered, has 3km on the clock from being pushed around for the last 33 years. Owned by a Kawasaki dealer in Australia. He has some NOS parts too, not sure what yet. I've suggested that he comes on here to find the right home for it. Shame I'm on the wrong side of the planet. Re: Brand-new KR for sale! Ive heard Yorkshire called many things but never "the other side of the planet"
What would the freight cost be from Oz, its not like something like that comes along every month. 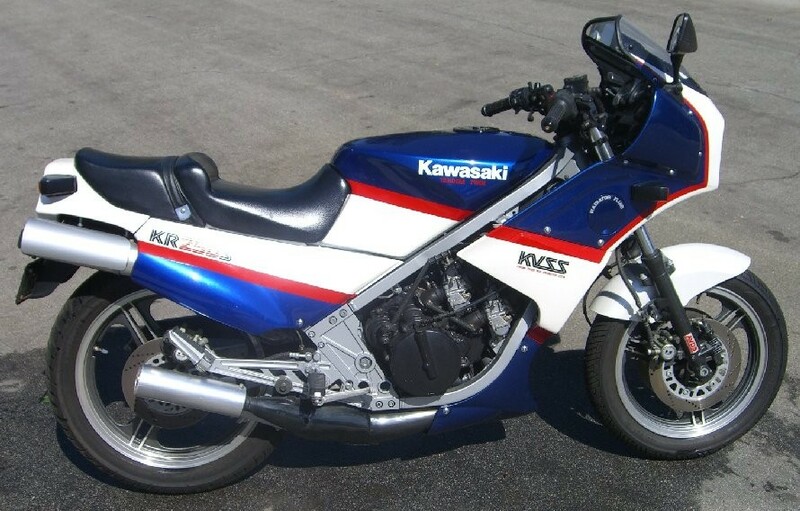 A new Red ,White and Blue KR250S would be something to get all googlie about I am thinking.